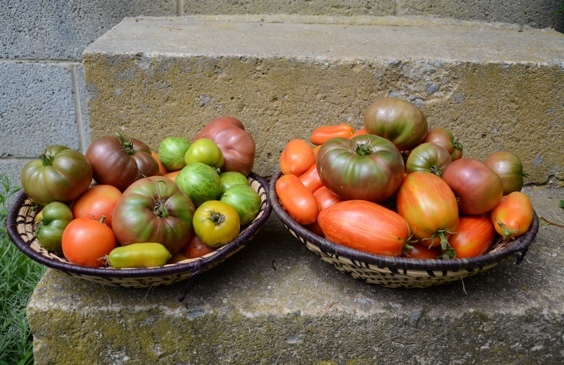 This is what happens if you garden and have to leave unexpectedly for 5 days during August – 14 pounds of tomatoes! I’m going to be very busy canning and freezing tonight. This entry was posted in Food and Drink, Garden, Travel by Ashley. Bookmark the permalink.